Delhi Subordinate Service Selection Board has updated DSSSB PRT Exam Date 2017 on 28 September 2017. 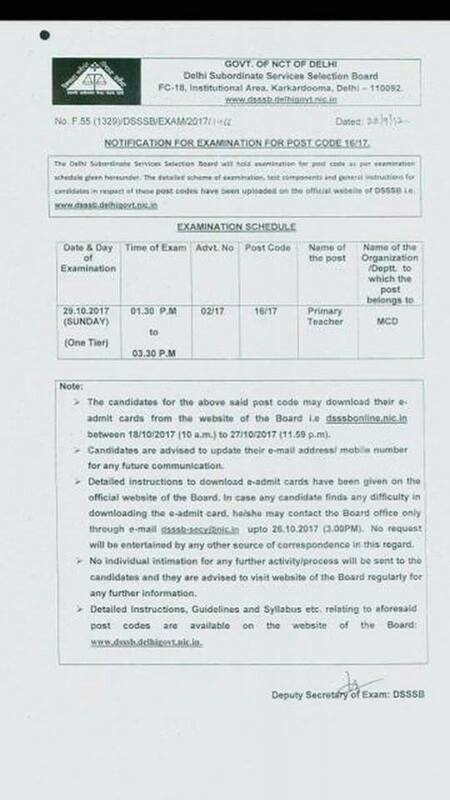 DSSSB PRT Exam is scheduled to be held on 29th October 2017. 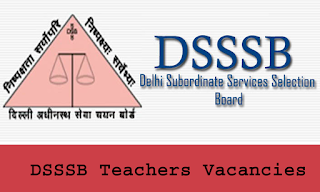 All the candidates can check official DSSSB Exam date from given below link. The DSSSB PRT Exam Admit Card will be available from 18 October 2017 to 27 October 2017. The Written Exam schedule of DSSB PRT Exam has been released by Post Code 16/17. The DSSSB PRt Exam will be held on 29th October 2017 from 1:30 pm to 3:30 pm.